IDF spokesperson says military took remote control of UAV launch from Syria into Israel before destroying it. On Wednesday afternoon, IDF Spokesman Ronen Manelis said that the unmanned aerial vehicle that penetrated into Israel from Syria was intercepted and that the IDF was in control of the situation at any given moment. "From the moment the Syrian drone was identified, we had full operational control over his movement. Our forces carried out a number of defensive actions to prevent friction, and once they met the optimal conditions, we intercepted and destroyed it," said Manelis. 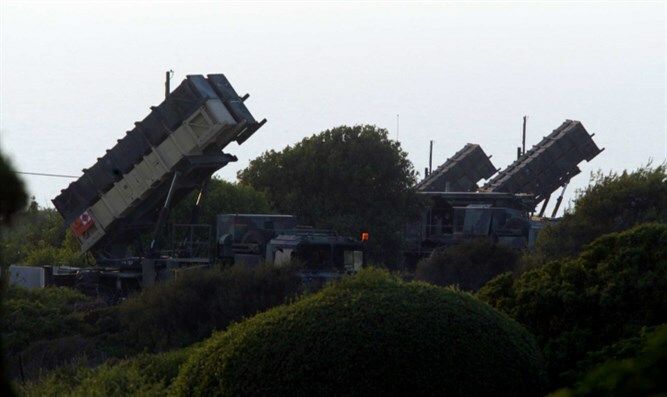 The UAV was intercepted by an Israeli Patriot missile. The launch of the missile caused the Red Alert siren to sound in communities in the Golan Heights and the Jordan Valley. The IDF stated that the military "will not allow any violation of Israeli airspace and will act against any attempt to hurt its civilians."